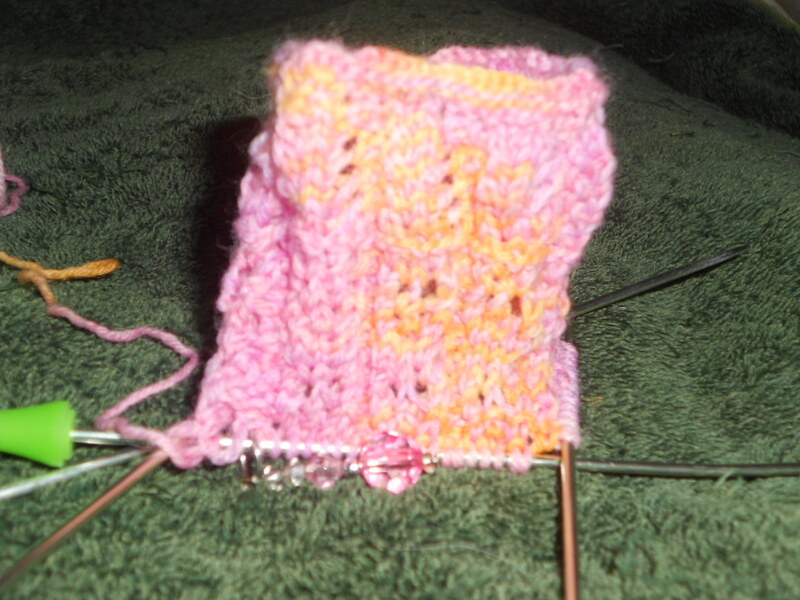 I now recall some tips about lace I forgot while knitting the toe of the last pattern. 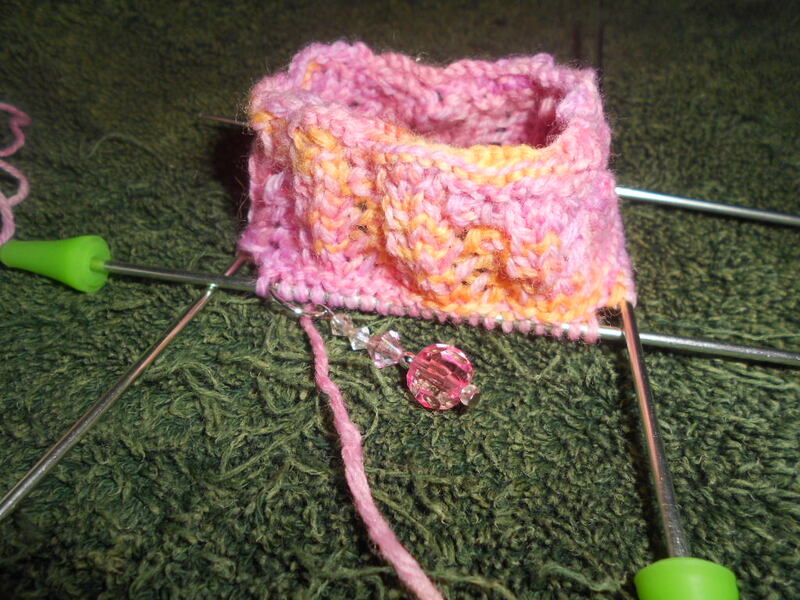 I am knitting the Rose Rib socks in the Sock Knitting Master Class book. This, as well as the last pattern I knit sent me to the DVD for advice, as I am not a master knitter. 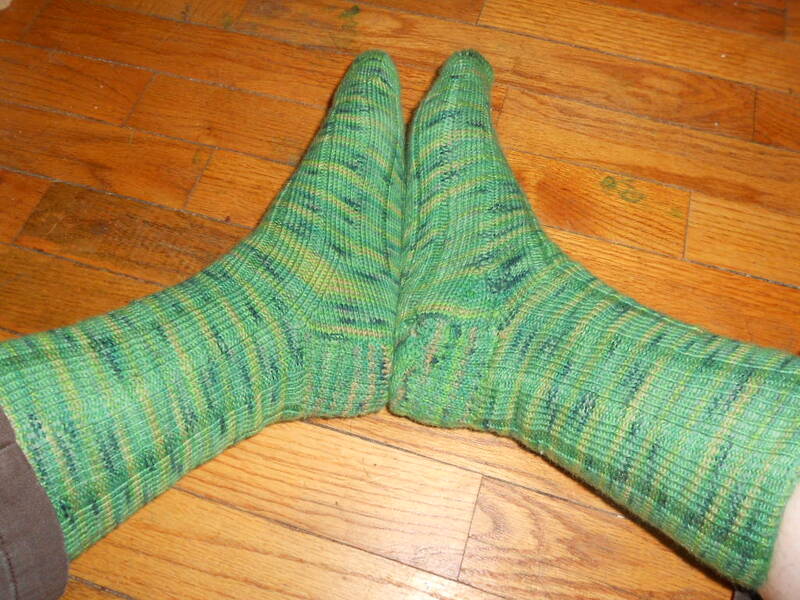 The rose rib socks make pretty lacy nubs using a simple eight-row repeat. The cuff is related. I have discovered I like merging the cuff with the sock. Its not that I want easier, though sometimes it is much easier. It’s that I like the continuous look of the cuff going right into the leg of the sock. The elastic cuffs one gets to knit with many of the lace patterns are nice, but I strongly dislike the knit 2, purl 2 rib. I prefer a knit 5, purl 5 if I must, or as in the vanilla latte socks, a knit 6, purl 2 rib. I must also say with a cuff that extends into the pattern of the leg, that it is simply easier. This may open the door for boredom for some, but that usually doesn’t begin to set in till I get to the foot. Then I want to finish the sock. As I began the rose rib sock, I had a thirteen row cuff that I had just gotten used to when I needed to switch to the eight row ribbing lace pattern. It isn’t a tough pattern, but there was a part of me that didn’t want to switch. Maybe I just don’t care much for change. Speaking of change, let me get back to the original point of tension control. I noticed with the lace knitting, I have to be very careful with my tension. Too loose and my holes get huge; too tight and I can’t get a size 1 or 2 needle through two stitches at the same time. Decreasing is imperative in lace knitting, so I have to be able to get the knitting needle into two stitches at once. However, when tension is kept reasonable and even, the sock is easier to knit and looks much better, as shown in the photos. Happy Lacy Sock Knitting this week. Who knows what I’ll come up with to talk about next week. Cuff and two repeats of leg done; seven more to reach heel;-). It looks smaller, but lace is supposed to have a negative ease as it will stretch more. I know you see me in your bag. I am taking the yarn. I will hold it hostage until you put it on the needles and use it. However, that does not mean I won’t take the knitting hostage once you start on this next thing you make with yarn. 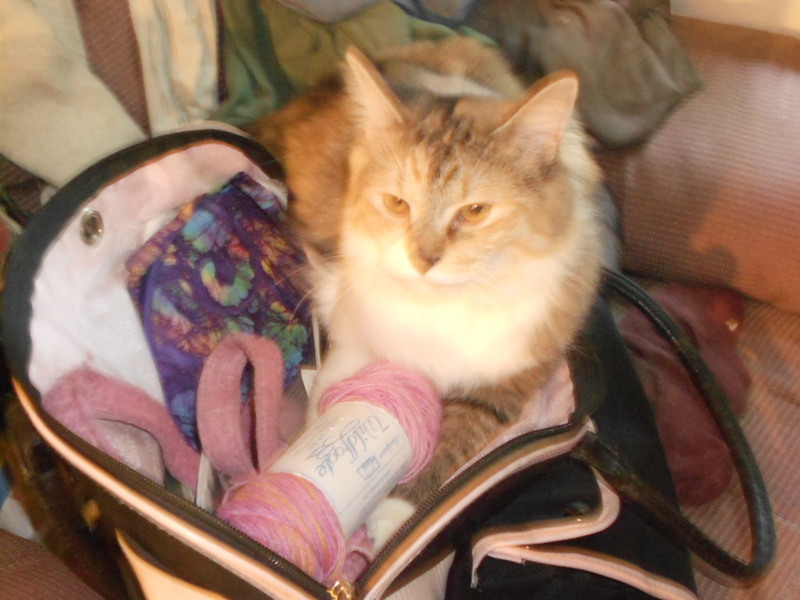 I see you snuck the yarn out of the bag to make space for yourself. I am finally putting the yarn on needles since I have finished training for my new job. 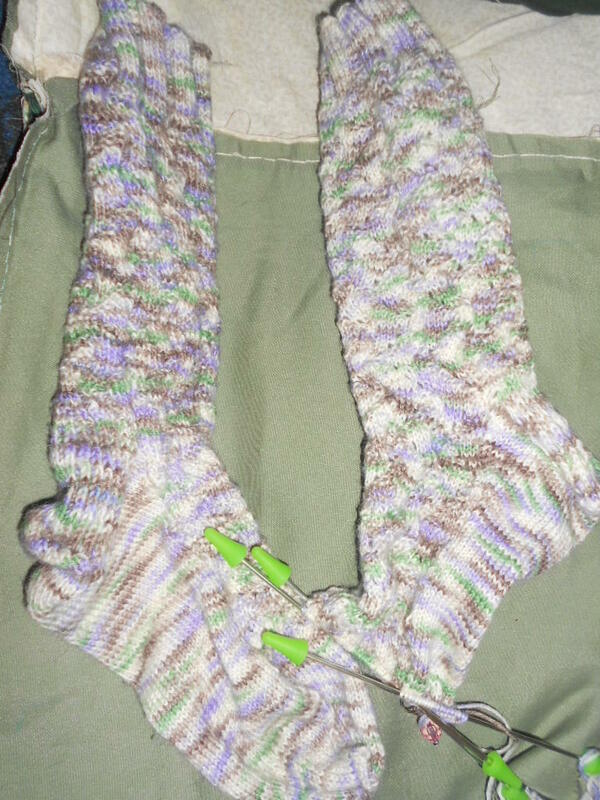 I will be making more socks. Stop sneaking off with my yarn when I run to the store. I like your yarn. It is light and easy to carry. The bag is comfy. These are really my things anyways. You simply get to use them to entertain me. 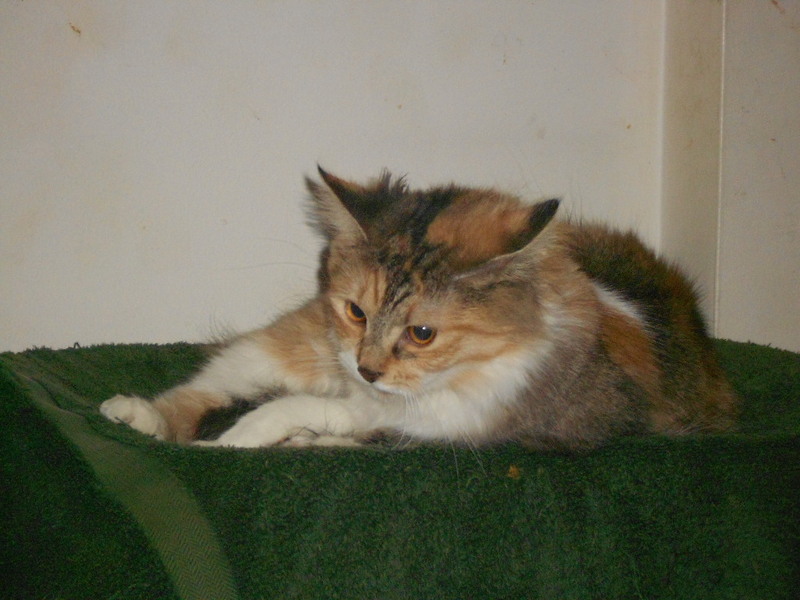 Perhaps you can see why this furry ball of cuteness is called “Scamp.” It fits her well. Enjoy our stories, more on the Rose Rib Socks to come, beginning with scalloped edges soon. Due to working ten hours on Friday and Saturdays, I suspect I will move my blog posting to Tuesdays.